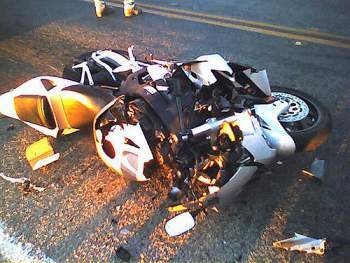 Hire An Excellent Motorcycle Accident Attorney Santa Ana, CA. No doubt motorcycles have made shuffling from one place to the other easy. However, even if you are very careful and pay attention to the safety rules, there is also a chance of being a victim of an unfortunate motorcycle accident. And you also have a right to receive some sort of monetary compensation for your travails. If you are a victim and are looking to hire the services of an excellent motorcycle accident attorney in Santa Ana, CA, then Rawa Law Group has all the answers. Rawa Law Group is a topmost legal agency in California that boasts of having some of the best accident attorneys in the state. We are an agency that has spent a startling 55 years in the business and have amassed more experience and dealt with millions of motorcycle accident cases. Our attorneys are well trained and go about their duties with so much dexterity. You should only expect to win your case and get the maximum settlement when you hire our services. We make appointments with our clients very flexible and also ensure you would be fully aware of the details of your case from the start to finish. The icing on the cake is that we do not expect any payment from you until after we must have delivered positively on your case. That means you can just hit us up and we would be at your doorstep or hospital of treatment in a jiffy and plunge into action with your case. We are strict advocates for the injured in Santa Ana, CA. To hire an excellent motorcycle accident attorney in Santa Ana, CA, do well to take full advantage of this easy access and contact us at this address.